In large cities where air pollution is a big problem, finding an alternative to the sea of gas-powered vehicles is essential to the health and safety of the residents. A company called Kandi Technologies is trying to clean up the streets of China by creating enormous vending machines that dispense electric rental cars. The machines hold 30 to 300 cars which can be rented for just $3.25 an hour. People who want to keep the car for a longer period but don’t want to take the plunge into permanent ownership can lease one of the cars for a period of one to three years at around $130-$160 per month. The price includes power, insurance and maintenance, making it a pretty great deal particularly for those who wouldn’t ordinarily have access to charging facilities. 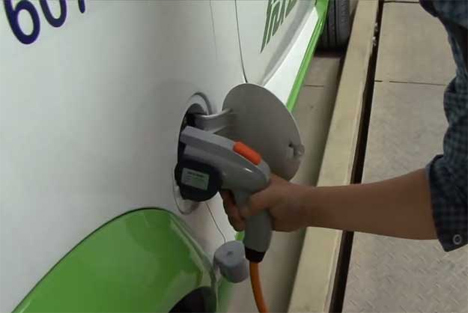 Each electric car has a range of 75 miles and can reach speeds up to 50 MPH. These figures are generous enough for almost any urban commuter. 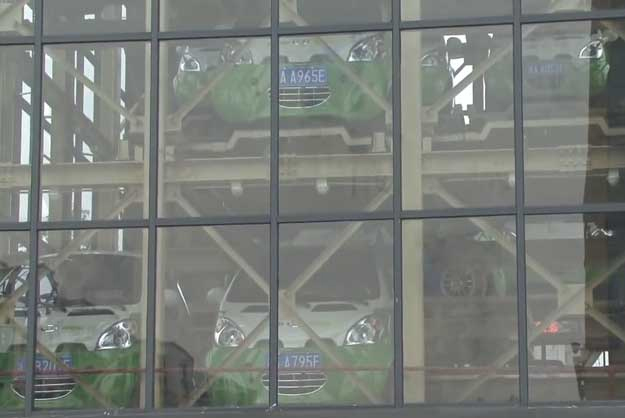 Several of the vending machines have already been placed in Hangzhou, making up a fleet of more than 100,000 cars. Kandi Technologies has plans to expand their service to other cities, and we hope to the rest of the world. See more in Mass Transit or under Transportation. March, 2014.